Sunburst Shutters New England, Inc. Comment: I would like to get an estimate for 3-4 window frames that have been chewed by rodent. Comment: Hi - we have a herb window in our kitchen over the kitchen sink. From the outside of the house there is water / rust stains running down the siding of the house below the window. Water is somehow getting into the pan or bottom of the window box. Comment: I would like to get an estimate for Needs to figure out if my window needs to be repaired or replaced. Comment: A cabinet needs to be made in the kitchen with specific measurements. Another cabinet in the kitchen again with specific measurements. Comment: We would like to add a set of stairs to the yard off of our raised deck. W.J. Naff and Son, Inc.
Westwood Carpenters are rated 4.77 out of 5 based on 560 reviews of 46 pros. 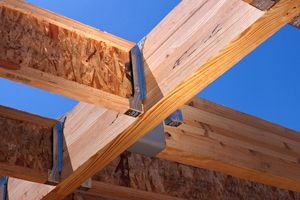 Not Looking for Carpenters Contractors in Westwood, MA?